Tsukiji Market is known as the biggest Sea Food Market in Japan. And the Tsukiji Terrace is known as the famous café in Tsukiji area. In this café, we can enjoy the sweets and BBQ in several time zone. In addition, it is as useful as located in very near Tsukiji station. Today we would introduce the attractive point of this Tsukiji Terrace. 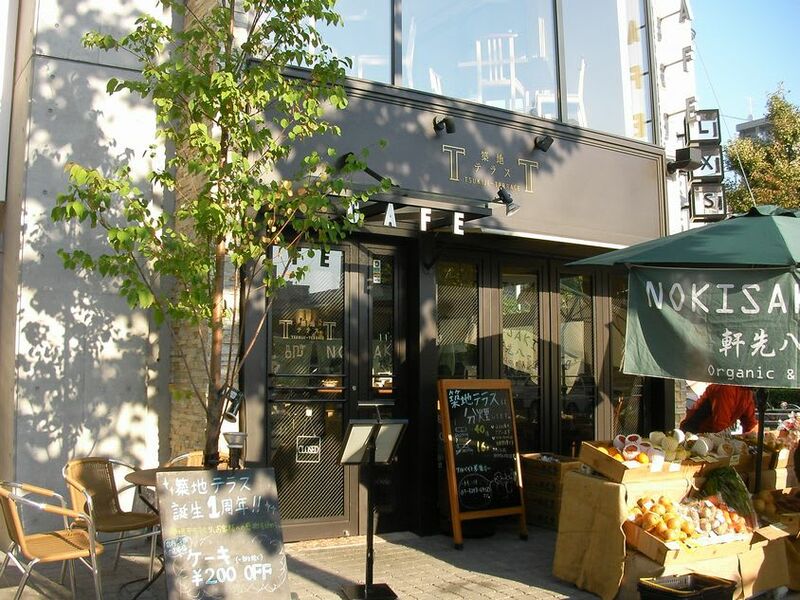 There is the café named Tsukiji Terrace close to in Honganji in Tsukiji. This old standby café is located right in front of the Tsukiji Honganji with Jodo Shinshu. Tsukiji Terrace has different attractive points on each foodstuff and its facility. 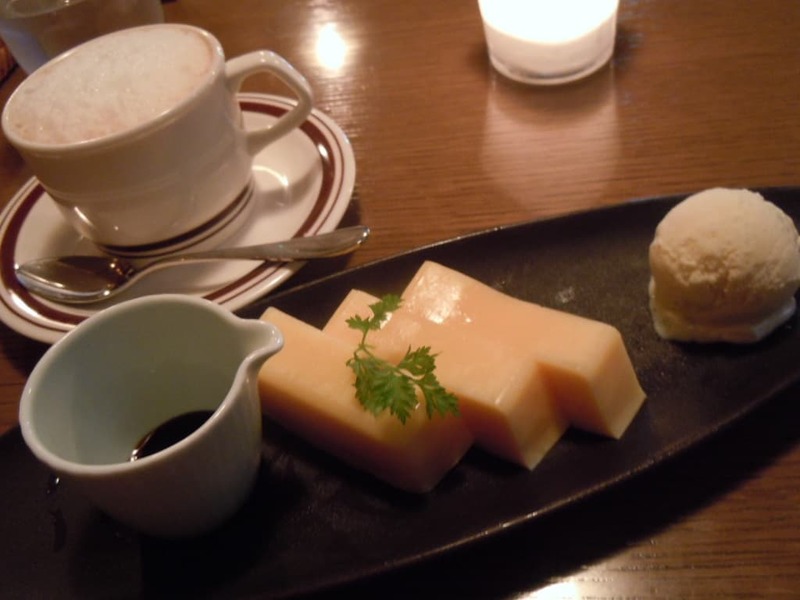 In a tea time, you could have a Tsukiji Fried Eggs Pudding. In addition, it is also good that you can look out over the Honganji. 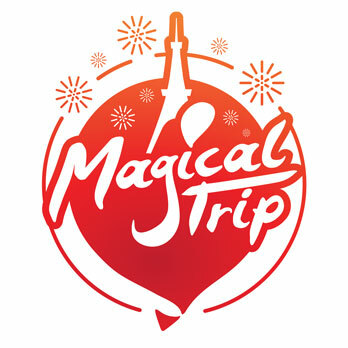 When you are tired from the sightseeing or feel like eating something sweet, it would be the best spot. It Doesn’t Resemble Pudding at all “Tsukiji Fried Eggs Pudding”. 「Tsukiji Fried Eggs Pudding」 is literally Fried Eggs-shaped Pudding with Ice Cream. This pudding is totally different from usual pudding. The texture is like fried eggs or Yokan. A better way to have this pudding would be that eat the pudding first and go to Ice Cream next. For Only 500 yen “Sandwich Set”. 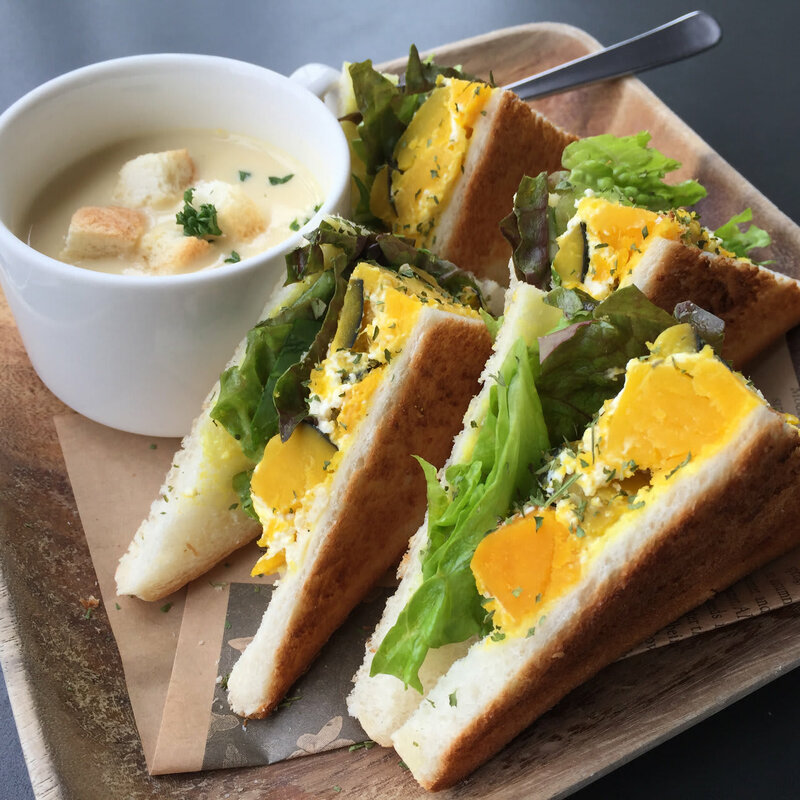 Tsukiji Terrace’s Sandwich contains various vegetables between slices of bread. Potato Salad, Paprika, and fully nutritious foodstuff, these are recommendable for people who are very concerned about being healthy. And it is available only for 500 yen. It is amazing.